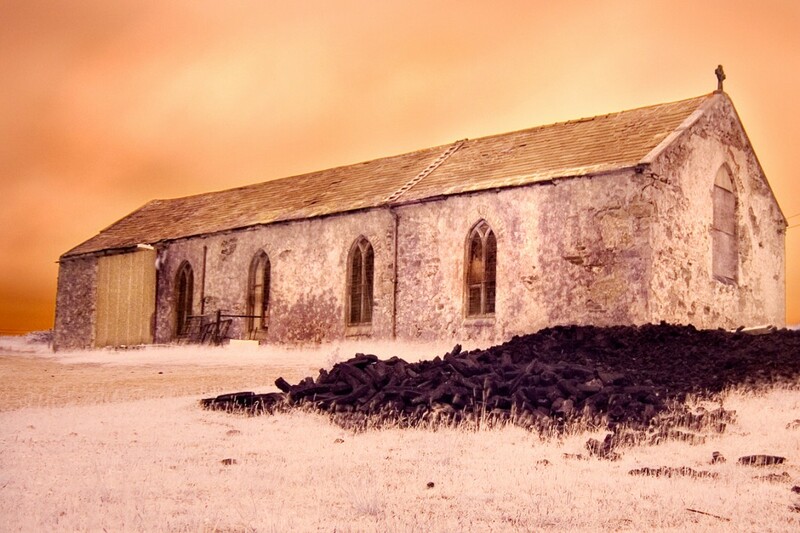 This is an infrared photograph of a former Roman Catholic Church which is located in the parish of Tallagh, Belmullet. It was taken on the Erris peninsula on the road from Belmullet to Ballyglass in September 2009. The building dates from c.1820 and is described as a single height vernacular Gothic design barn church. It was included in the Griffith's Valuation for the Kilcommon-Erris Civil Parish which was conducted in 1855.